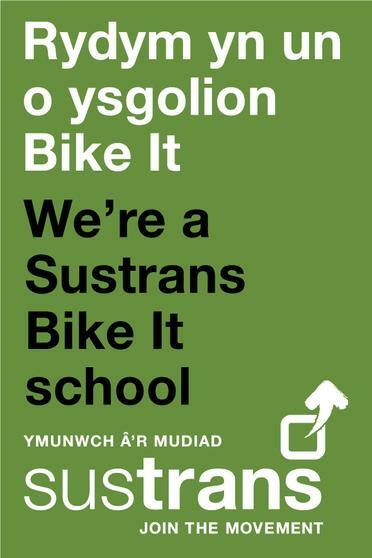 Pembroke Dock Community School has been a Sustrans Bike It school since 2011. 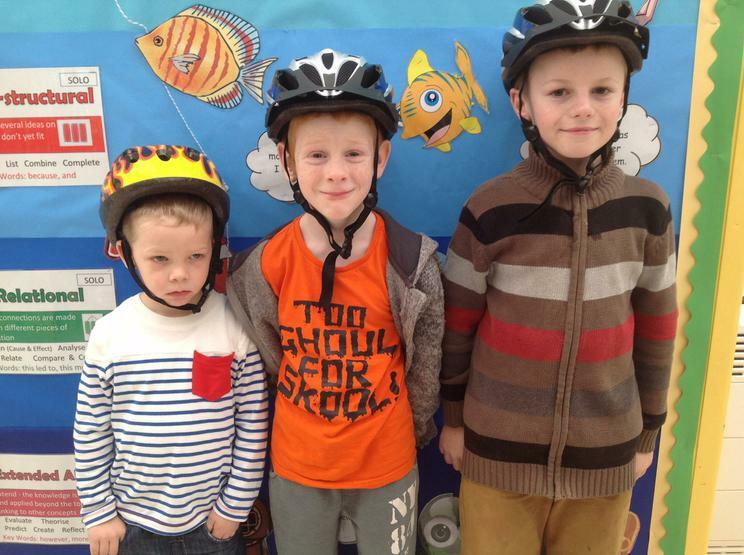 The aim of Bike It is to promote Active Travel to school. 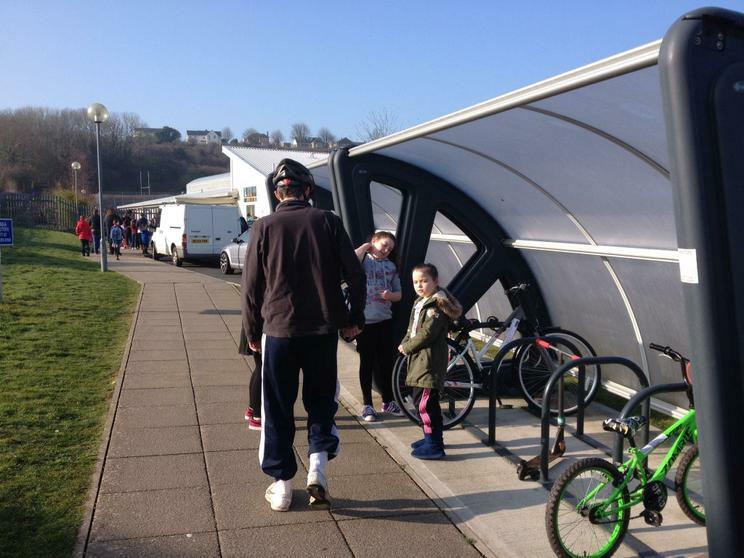 We encourage children, parents and staff to walk, cycle and scoot to school which benefits both their health and the environment. 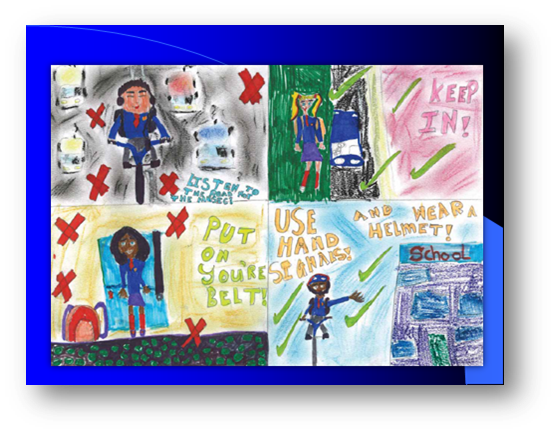 Year 5/6 children are elected from each class to join the Bike It crew, they are also our JRSOs (Junior Road Safety Officers). The Bike It crew work closely with Sue Mathias from Sustrans to organise our termly cycle to school event and smaller Bike It events. 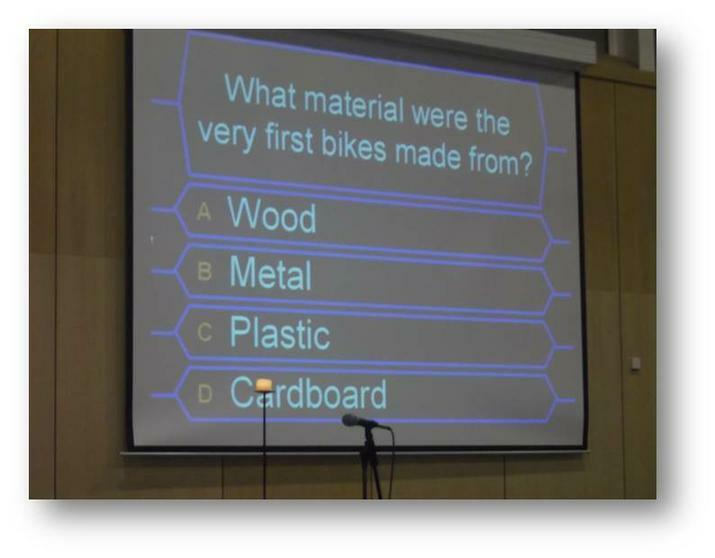 They also deliver assemblies on safely cycling to school - helmet safety, Be Bright be Seen. This year we are really pleased to have achieved our Sustrans Bronze Award. 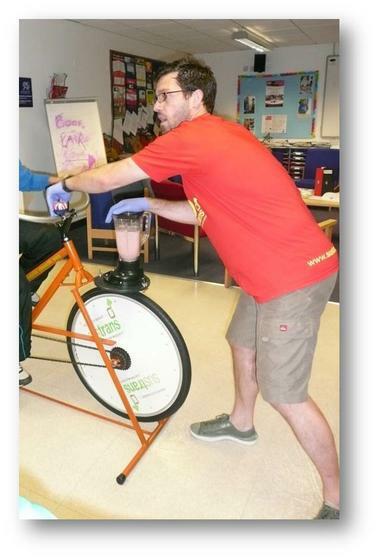 The Bike It Crew accepted the award for their commitment to Active Travel in PDCS. We aim to make Bike It bigger and better this year with your continued support! 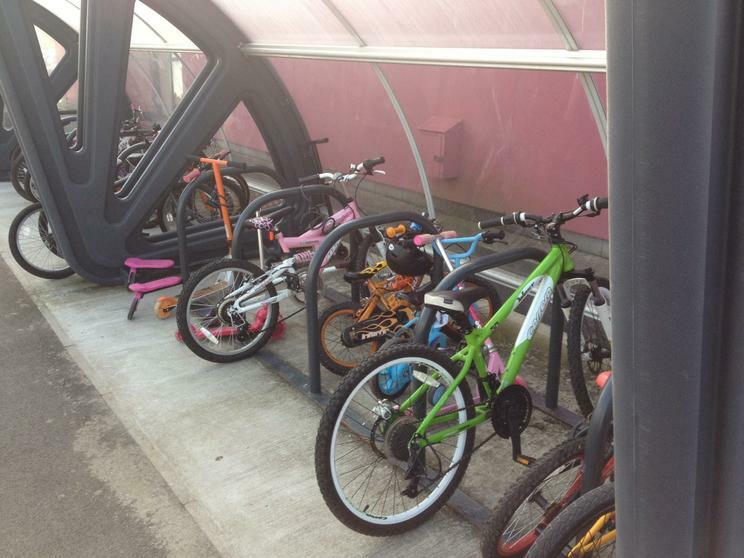 Please contact Mrs Kate Clarke if you have any suggestions or queries about active travel. 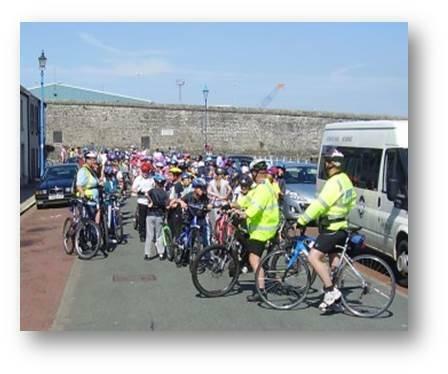 Congratulations to all staff, parents and pupils who joined in with The Big Pedal 2015. All local and national results can be seen on www.bigpedal.org.uk .We finished The Big Pedal with a cycle to school day with lots of prizes and stickers on offer for children who cycled or scooted to school. 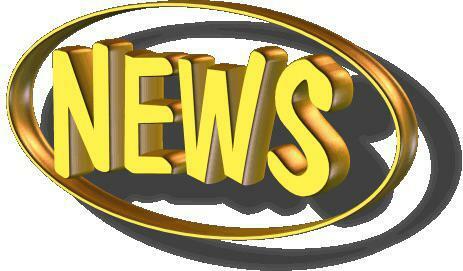 All names were put into a prize draw with winners from Reception classes all the way through to Year 6. 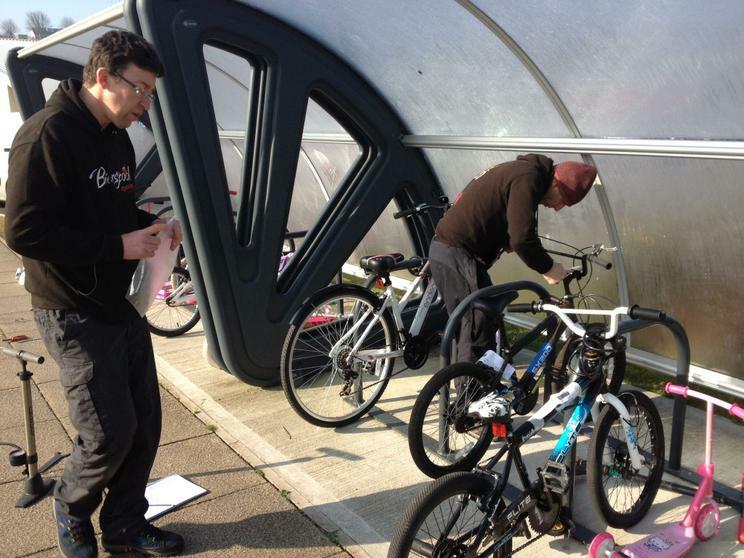 We also had fantastic support from Bierspool Cycles who provided free bike checks and bike maintenance, thank you!